If you have a small business and are not aware of or using Instagram, you may be missing the boat. Depending on the type of business your local company is in, there are many factors you should know. Though there are many small businesses on Instagram with a personal account, or maybe have a small business Instagram profile they are not active enough or effectively using the platform to get the best results. First off we should give you some facts, statistics and information about Instagram that will help you understand the photo social network and the opportunity it represents for many small local businesses. If you are not familiar with Instagram, you need to know that it is definitely one of the largest social networks in the world, and it is highly likely that a significant population of your customers and prospects are using it! So what is Instagram? Instagram is a mobile photo, video social network sharing service specifically designed to enable users to share pictures and videos with text and hashtags, as well as modify and improve their digital media using custom filters. Think of Instagram as a cross between Twitter and Facebook, but exclusively with pics and short videos. 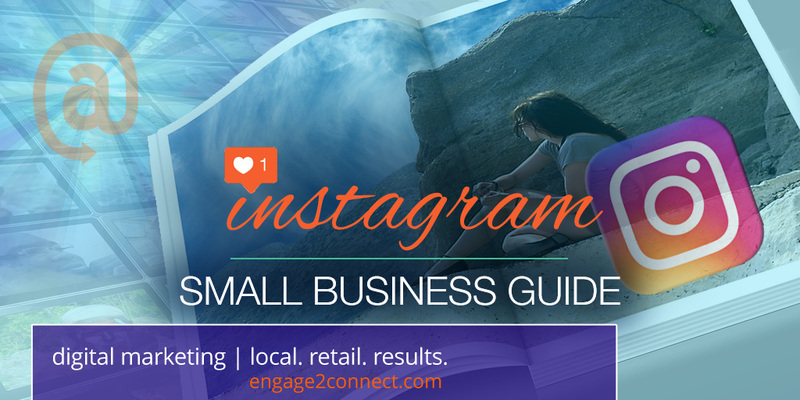 Do you think Instagram sounds simple and not very worthwhile for a small business? If you do, you’d be very wrong. In fact Instagram was purchased by Facebook in 2012 for $1 BILLION dollars. Yes, you read that correctly. Since it was acquired, Instagram has continued to grow its user base and expand its functionality, making it a must use platform for small businesses as well. When it comes to social network usage in the U.S., Instagram is second only to Facebook. Instagram currently has around 67 million users nationwide, while Facebook has 167 million. To put that in perspective for you, nearly 25% of all adults in the United States use Instagram. Compare that to Twitter with only 52 million U.S. users and you will continue to get the real perspective and value that this social network has for small business marketers. Now based on the current and past growth of Instagram, the photo social network is expected to reach nearly 100 million users by the year 2020, which would also represent almost 50% of total social networks users being active on Instagram as well. Instagram is where people are and your local business should be there also and have an active account, sharing incredible photo’s, custom created graphics, product images and videos. More than half of US millennial internet users are “active” on Instagram (Cowen and Company): If some or most of your target customer base are millennials, this is where they are spending time! Instagram user growth from male users is currently 16.9%, while 13.9% for females. How To Use Instagram For My Small Business? For a small business, it is important to start out by understanding that Instagram small business marketing is visual and about stories and topics that your audience is interested in. So you need to get your mindset focused on your smartphone camera and it’s capabilities to capture amazing moments in photos and videos that will spark interest with your prospective customers. 1. Don’t make the mistake of over promoting. On Instagram you want to create and share visual content that connects with your audience and doesn’t just promote your brand, products and services. Earn the right to pitch your company by sharing valuable, interesting content your customer is interested in. 2. Create and Share Consistently. Just like other social networks, you will want to make sure you are creating and sharing content consistently. For most small businesses this should consist of at least 2-5 posts per day. We highly recommend that only one of the up to 5 posts you share per day are promotional or about you, your brand or products. The rest should be other topic photos, graphics, quotes and other interesting visual content that your audience is interested in. 3. Hashtags Are Important. Perhaps more than any other social network, Instagram uses hashtags very effectively. You want to include appropriate hashtags that your customers are likely to follow or search frequently. be sure that the visual content you are posting is actually related to the hashtags you are using, which will increase the odds that users will like and comment on your content, as well as follow your account. 4. Quality Matters. The better quality your graphics and photos are, the better results you will get on Instagram. Instagramers appreciate great graphics and videos, so make sure you are meeting your customers expectations. 5. Graphics Are BIG. Besides photos and videos you take with your smartphone or digital camera, you want to create graphics that incorporate photos with text and other images. By combining photos and text to create custom graphics, your posts go beyond just images and become a visual story with a more complete message. Here’s one of our recent custom graphics and an example of the kind of graphics we create for our clients daily. 6. Your Small Business Profile/Bio Is Important! Make sure that you complete your Instagram profile with a photo, bio and a link. Just like with other social media marketing, the goal is to provide so much value that your followers want to see more by going to your website. If you don’t have your link included in your profile, you can’t do that very well. 7. Be personal, engage and respond. As a small business you have a much better chance of creating a real relationship with a follower on Instagram, then say Walmart or another big brand does. People build relationships with people, so do outreach by commenting on your prospects Instagram content. Build relationships by doing this often and also responding to those that comment on your content. This is how social media gets results! Based on the facts, Instagram is one of the largest social media applications in the United States today and it is an incredible platform to add to your total digital marketing plan. Be aware that like any digital marketing channel, Instagram will require a lot of effort to get off the ground, let alone additional time to create great content that works. But, Instagram small business marketing is an essential component for your local small business marketing. Is Instagram marketing an active part of your complete small business marketing program? If not, why?